No one can force you to retire. You're allowed to work for as long as you like and no one is allowed to discriminate against you because of your age. In terms of section 187 (1)(f) of the Labour Relations Act, the dismissal of an employee based on his or her age will be automatically unfair. Such a dispute will be dealt with by the Labour Court and up to 24 months of the employee’s remuneration may be awarded as compensation. 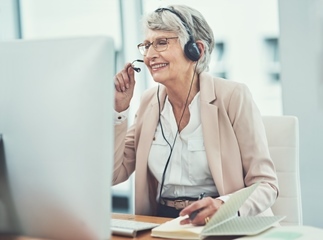 But should you feel like you're ready to leave the workforce and enjoy your golden years, here are some of the things you need to know before packing up and going on retirement. You and your employer should, however, agree on a retirement age. You've agreed with your employer on a retirement age or there's a company norm. There's no mention of retirement in your contract and there's no agreement. If you sign an employment contract that stipulates a retirement age, then you can legally be required to retire at that age. The organisation won't be required to give you notice. 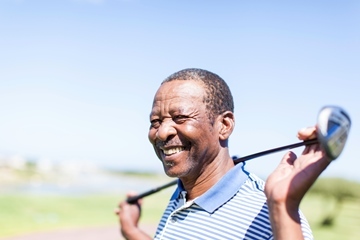 If the retirement age isn't in the contract but is agreed or if there is an organisational norm, then the employer can give you notice requiring you to retire at that age. The notice period will be the same as the notice period for termination of employment set out in your contract of employment. If there's no mention of a retirement age in your contract and there's no organisational norm, then you can continue to work until you're unable to do your job properly. Your employer can only terminate your contract in accordance with the labour legislation (that's for misconduct, operational requirements or incompetence) and will have to follow the procedures set out in your contract and labour law. The courts have found that it's unfair discrimination for your employer to terminate your employment services just because of your age. For more information on the law around dismissals, see the Department of Labour's guide to the Labour Relations Act called "Know Your LRA". There's no legal certainty regarding the rights of an employee who works beyond retirement age. It's thus advisable for the employer and employee to clearly define the terms of employment after the retirement age, for example how long the employee will continue to work for and what notice is required to terminate the employment. 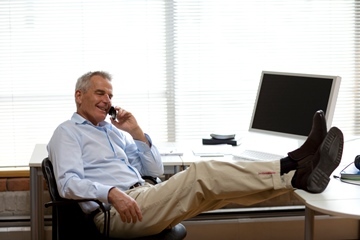 Where can you get an income from after retirement? After you retire you'll usually rely on a pension or provident fund for your income. You can either draw a state pension or you can contribute to a private pension fund or provident fund. For detailed information on how private provident funds and pension funds work, visit the Black Sash and ETU paralegal advice website. Once you retire, there are a number of things you can do to spend your retirement time. Travelling is great when you retire, especially at the beginning when you're still healthy. You can take your time and see the world. If money is a concern, stick close to home and see all the sights your community has to offer. You can finish that degree or audit some courses. Learning how to paint or play the guitar are good ideas too, as you'll fill your days practising. Retirement is a great time to take up a new hobby or take up a new activity. If you're not very active, then you should take up something like swimming, golf, cycling or yoga. Anything that keeps you active is good for both your mental and physical health. You may even make some new friends. There are countless volunteer opportunities, even in the smallest community. For example, the library, an animal shelter, a seniors' home, a hospice, your church and the food bank. Gardening is a good way to keep moving and even grow some fresh food. Join a gardening club to expand your knowledge. If you don't have your own backyard, find community plots. Another way to keep busy is to start a small business. It's also a way to generate extra income. The options are endless: open a small shop, become a handy-person, sell crafts online, tutor or even consult. If you have valuable skills and still like working in your field without all the pressures, think about becoming a mentor. You'll spend time working with young people at the beginning of their careers, and it's a great way of giving back. Many gyms have special programs for seniors. If there's a walking track, you can join a walking club and stroll several kilometres a day, while chatting away.